Australian cricket has begun its slow journey to redemption. And, for the moment, we are all on a drip feed, awaiting the full extent of the sanctions that will be meted out to those guilty of shaming the game over the weekend. The on-field leadership of the side has been eviscerated, underlining the seriousness of their actions in the eyes of Cricket Australia. The governing body had no option following the pre-meditated cheating at Cape Town that left many Australians – even those who are not cricket fans – feeling as flat as a week-old glass of lemonade. CA had to cauterise the wound before it turned septic and when you hear some of the claims being made this week by those in the know there is an air of toxicity within the changeroom, which has been steadily manifesting over time. Skipper Steve Smith, his deputy, David Warner, and the man who actually executed the deed, Cameron Bancroft, are all heading home ahead of Friday’s final Test at Johannesburg. 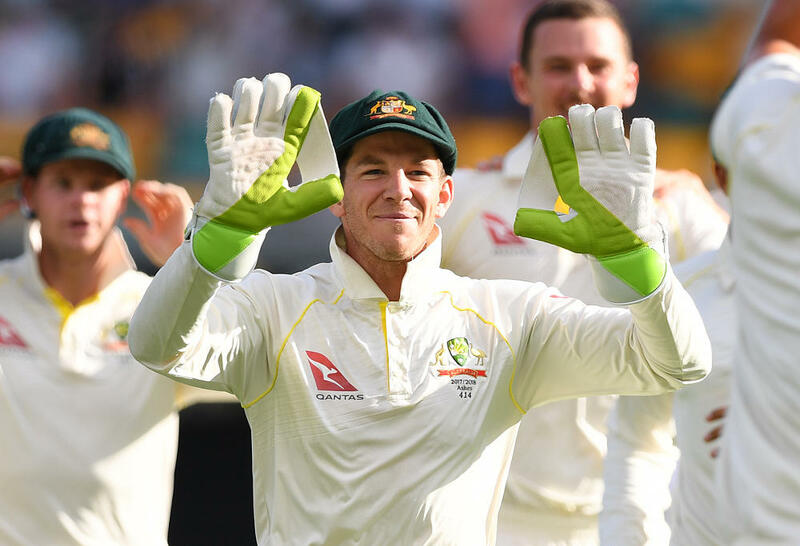 Wicketkeeper Tim Paine will officially become Australia’s 46th captain when he leads the side onto the Wanderers. It will be fascinating to know if the three returning players all sit together on the flight, given the stories in the last two days of acrimony and factional infighting within the squad. As they head east, Matt Renshaw, Joe Burns and Glenn Maxwell will fly west to join the squad – a trio who have all felt the axe in the past. The returning trio will learn the full extent of their bans in the next 24 hours. 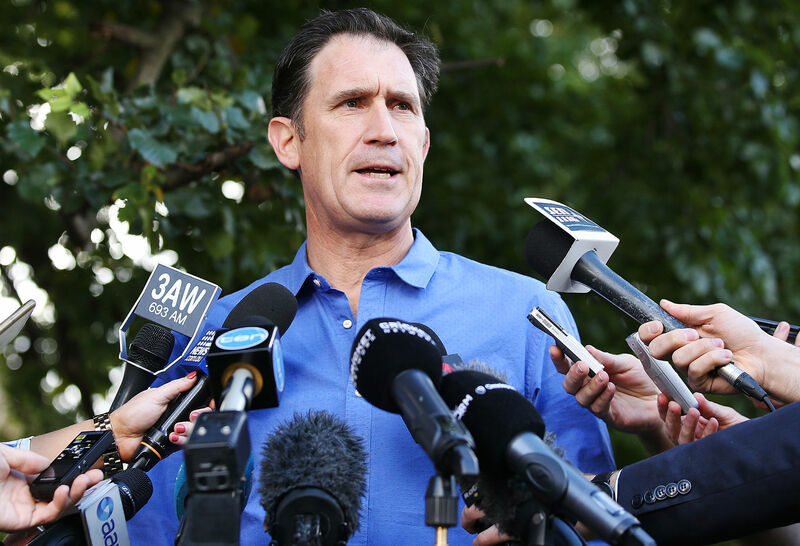 CA CEO James Sutherland confirmed the final sanctions will “reflect the gravity of the situation”. 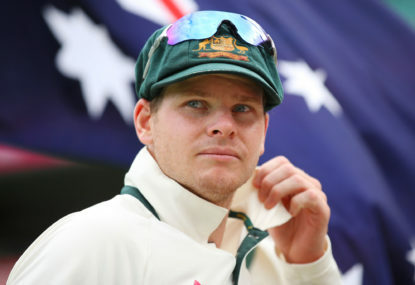 Smith and Warner relinquished their leadership duties heading into Day 4 of the third Test, but Smith was the only player who was already ineligible for the last match following the ICC’s investigation, having been hit with a one-Test ban. Coach Darren Lehmann has been cleared of any wrongdoing. Given the way events played out on that now infamous third day at Cape Town and the vision that we have all seen, Lehmann’s greenlight will no doubt cause much discussion. Just what he said into the walkie talkie to 12th man Peter Handscomb immediately following the airing by the host broadcaster of vision that raised eyebrows about Bancroft’s actions we do not know. It did, however, result in Handscomb going onto the field to speak to Bancroft minutes ahead of the yellow tape he was using on the ball disappearing into the latter’s trousers. There was open talk pre-series of targeting Kagiso Rabada verbally in an endeavour to push his demerit points to the point of earning him a suspension. Is that really where the team focus should lay? The mystical ‘line’ was again spoken of publicly early in the series. In the end, Australia crossed the Rubicon – after deliberation among members of the leadership group in the changeroom – with what it did on the third day at Cape Town. At that moment, which will live in infamy within the sport, the team went from headbutting the line to leaping over it like Bob Beamon in his prime. Worse still, it was done with a calculated, premeditated, devil-may-care attitude. Steve Waugh’s well-publicised tactic of ‘mental disintegration’ has been expanded, sullying the reputation of the national side. It was made clear to me many times during my travels to cover overseas series that many of the Australians were respected for their playing talent but not for their behaviour, some to the point of being reviled. Likewise, teams from other parts of the cricketing world have also pushed the envelope with respect to on-field verbal abuse, but it is fair to say that on balance Australia has remained the ‘market leader’. Quinton de Kock’s shaming of Warner’s wife at Durban was indefensible but it came as a result of the verbal haranguing he was receiving from Warner and others on the ground. Had the latter not occurred, the former would likely not have either. Warner’s comments – trotted out again in the media in recent days – after Faf du Plessis’ ball tampering conviction on South Africa’s last tour of Australia have shown a complete double standard. That type of evangelical moralising now looks ridiculous, as Australia has transgressed in a fashion far worse than any other recent example of ball tampering. The holier-than-thou mindset is now shown to be totally disingenuous and fanciful. Nobody can rightly expect the Australian team to suddenly display the Corinthian values of good sportsmanship, for the nature of 21st century sport is well past that. But they need to tone it down significantly to be able to distance themselves from this latest fiasco. Every on-field incident where umpires are forced to intervene and each subsequent visit to the match referee’s room will produce a chorus of “there you go, the cheats are at it again” from opposing fans. It will likely draw a similar response from many a fan in Australia. There has seemingly been more fall-out from this episode than there was with the Manhattan Project. From the Prime Minister to the man in the street, the response has been damning. Of equal concern for CA has been the comments made by some of the sport’s major corporate sponsors. There are some people questioning whether any of the players should cop lengthy bans, although they are in the minority. They use the punishments – primarily fines – that have been handed out to players from other nations who have been found guilty of ball tampering as a way of saying CA has overreacted. This case is different. This time it was a captain instructing and condoning another player’s actions with the direct knowledge of other members of the squad. There is an age-old adage with respect to leadership – never ask anyone to do something you wouldn’t. Unlike du Plessis and earlier, Mike Atherton, Smith chose someone else to do the deed after a period of deliberation and consultation. 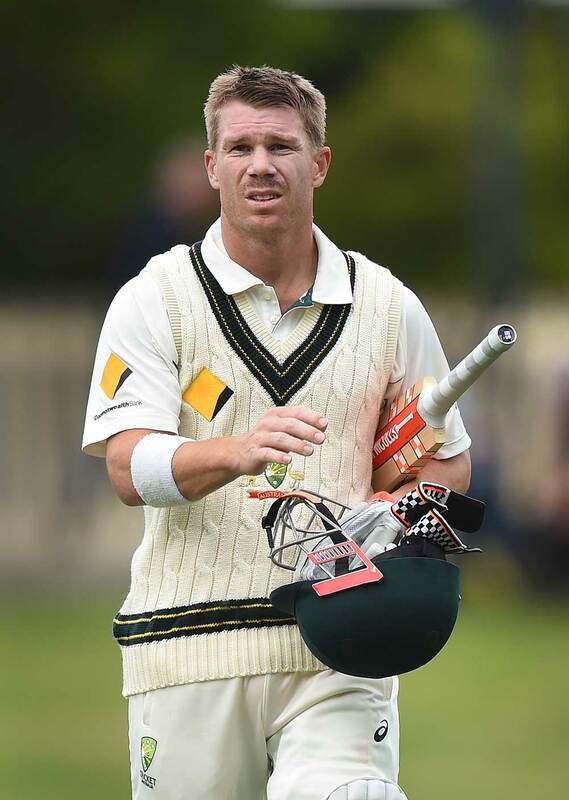 For now, Smith, Warner and Bancroft are gone – for how long we will soon know. The game will march on in their absence. How it does from an Australian perspective, however, will depend on the character displayed by this new-look team. That will be driven by Paine and the remaining senior players. And also Lehmann, who in most people’s eyes bears a lot of responsibility for the slide in player behaviour.